Superstar Rajinikanth's next flick is titled Petta which has an impressive star cast that includes Bollywood actor Nawazuddin Siddiqui and Tamil star Vijay Sethupathy. Produced by Kalanithi Maran-promoted Sun Pictures, the title of the movie roughly translates to stronghold. The motion poster of the film, relesed today, shows 67-year old Rajinikanth, sporting a beard and coolers, walking with a weapon while flashing his trademark smile. The poster indicated the film could be an action flick. 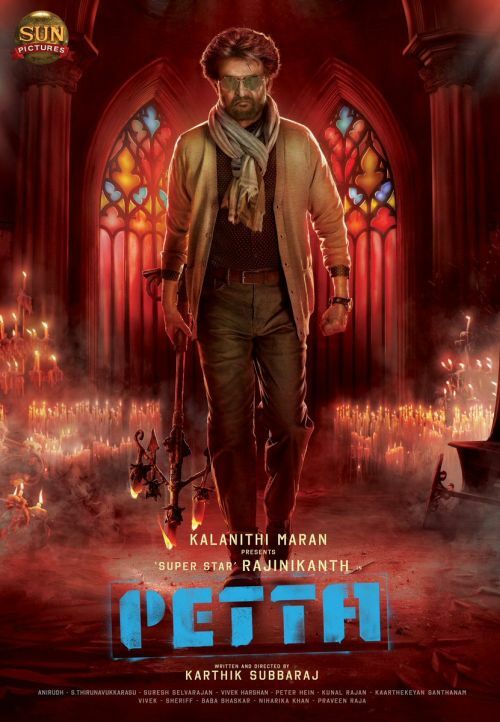 Petta is directed by Pizza-fame Karthik Subbaraj and has Trisha Krishnan and Simran also in the cast. Anirudh has scored the music. Rajinikanth's last film, released in June this year, was the trilingual Kaala, which had received mixed reviews.